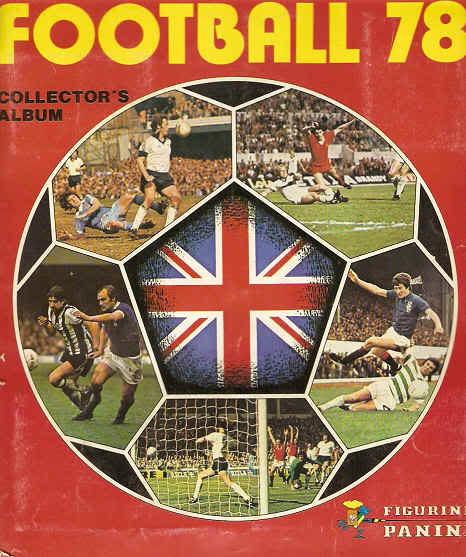 Although it wasnt the first football sticker album that Panini had issued it was the first that concentrated fully on UK teams. It consisted of 525 football stickers as follows. 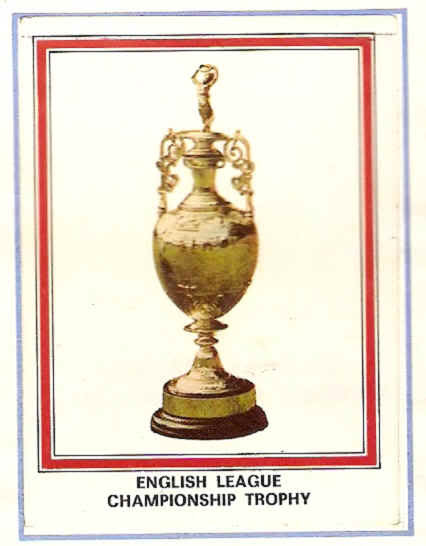 The first page featured stickers of the four main domestic trophies, FA Cup, Scottish Cup, League Championship Trophy (shown below) and the Scottish league Championship Trophy. 1st Division - Arsenal, Aston Villa, Birmingham City, Bristol City, Chelsea, Coventry City, Derby County, Everton, Ipswich Town, Leeds Utd, Leicester City, Liverpool, Manchester City, Manchester Utd, Middlesbrough, Newcastle Utd, Norwich City, Nottingham Forest, Queens Park Rangers, West Brom Albion, West Ham Utd and Wolves. The 1st Division clubs each had a double page filled with stickers. Firstly there was the Club badge which was made of a gold foil type material, alongside this there was a team sticker which showed the team line up. The rest of the pages were taken up by 15 player stickers with the players career stats and history. 2nd Division - Blackburn Rovers, Blackpool, Bolton Wanderers, Bright & Hove Albion, Bristol Rovers, Burnley, Cardiff City, Charlton Athletic, Crystal Palace, Fulham, Hull City, Luton Town, Mansfield Town, Millwall, Notts County, Oldham Athletic, Orient, Sheffield Utd, Southampton, Stoke City, Sunderland and Tottenham Hotspur. The 2nd Division teams also featured the club badge on the same gold foil type finish (albeit slight smaller) as the 1st Divisions but there were no player stickers. There was though a small overview of the club details then a team line up sticker. Scottish Premier Division - Celtic, Rangers, Aberdeen, Ayr United, Clydebank, Dundee Utd, Hibernian, Motherwell, Partick Thistle and St Mirren. The Scottish Premier Division completed the album, these were in a similar format to the English 1st Division but only had one page per team, meaning that instead of 15 player stickers there was only 8.